Bing cherry trees are one of the most common types of cherry trees grown for fruit purposes. A Bing cherry tree will grow well in any garden or landscape that has full sun and a well-drained soil. Bing cherry trees are the most famous of the sweet cherry cultivars. The fruit produced by Bing cherry trees is good for cooking, but can also be eaten straight off the tree. The cherries range in color from a deep garnet to nearly black. The skin of the cherry is smooth and glossy, and the flesh is firm and sweet. Bing cherry tree fruit is very juicy. Bing cherry trees require cross-pollination in order to produce fruit. Bing cherry trees can cross-pollinate with just about any other sweet cherry, and will produce a plentiful bounty of cherries. 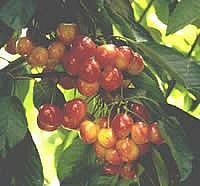 A Bing cherry tree will grow to a height of twenty feet tall, and have a mature spread of about fifteen feet. 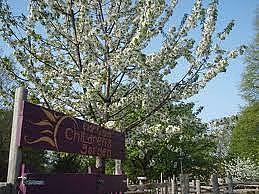 Bing cherry trees make a wonderful addition to any garden or landscape. The deciduous leaves will provide wonderful green color during the growing season. The bright red fruit will make an excellent contrast to the foliage. The fruit can be enjoyed by family and friends, and will preserve well.